Volunteers play an important part in any sports event, without volunteers many events simply could not take place. 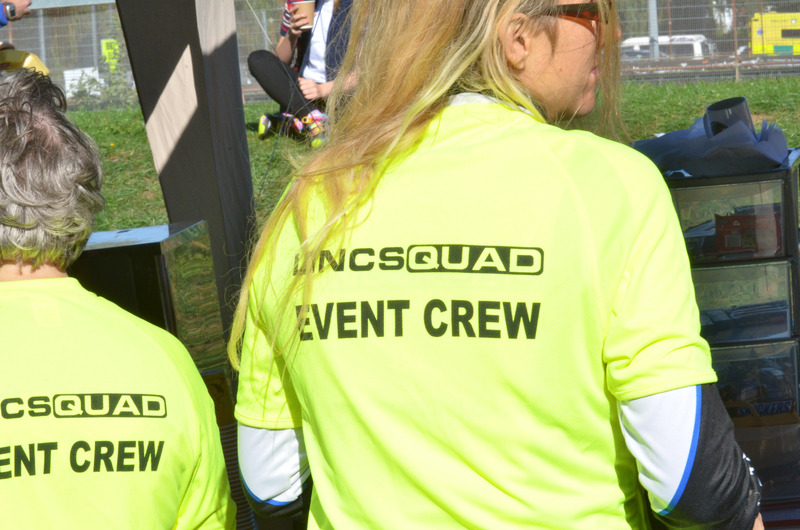 Each year racers, spectators, officials and event staff express tremendous thanks and appreciation for the dedication, and level of enthusiasm and professionalism that volunteers exhibit throughout the season. We are looking for enthusiastic, friendly and reliable people to ensure the easy going and professional atmosphere of our races. If you think that is you we would love to have you come and join us. Whether you can volunteer at every race or one race we would like to hear from you. Every little helps. Our volunteers don’t only create a safe environment for the athletes to compete in but they also have a lot of fun doing it. Not to mention the sense of accomplishment that comes with being part of something which is really appreciated by the athletes. We pride our self that our team is just that. A TEAM… with a team spirit and camaraderie that makes the events a lot of fun, not just for the athletes. All volunteers are also provided with food and drink to make sure that they are fully energized for the day ahead. Its not only athletes who need the energy. Roles at the races are varied and change from event to event but include, course set-up, Venue set-up, Bike Course Marshals, Run Course Marshals, Transition area, Competitor registration, Course & Venue pack-up. Why not volunteer with a group of friends, workmates, triathlon club or community group! Alternatively why not just come and join the team and meet some new friends. If you are coming to watch, why not get involved and offer your services for a few hours. To register your details or for more information contact us indicating which event(s) you are interested in volunteering at. We really look forward to hearing from you, and thanks for helping to ensure the safety of competitors and success of the events! Guys, please count me in for set- up, marshaling and strip down at all three events for 2016. Please let me know times required and if possible could we cam on site at Grantham this year. Donna has entered all three events. Hi – my husband is participating at Grantham and I’m available to help (with my little crew of 3 kids!). Let me know how to register as a volunteer. Tips for your first triathlon!